As many successful entrepreneurs will tell you, achieving that success is often down to confidence, and lots of it, but for many women entrepreneurs, confidence doesn’t always come naturally. But South African entrepreneur, Janine Starkey, founder of image consultancy House of Janine, is about to change all that. LoA chatted to Janine this month to find out more about this unique business and service offering. We are leading corporate and private image consultants who identify with business women who are lacking in self-esteem and need a healthy self-image. It is our job to make you look good! "We are leading corporate and private image consultants who identify with business women who are lacking in self-esteem and need a healthy self-image." Styling actresses and actors for SA soap industry was not enough and I wanted to do more for real women who struggle with time, energy, family conflict, bad relationships, and past family issues. It is our mission to make you smile at your reflection and walk out of the door in the morning with a sense of power and strength. I introduced my first client ever to mascara and for the first time she had eyes that were not just beautiful anymore, but were now piercing and breathtaking! If I could change the way she saw herself when she looked in the mirror, we would be able to change the world -- beauty is within and it reflects outward - the two must match and the two must shine! Not anyone, everyone! 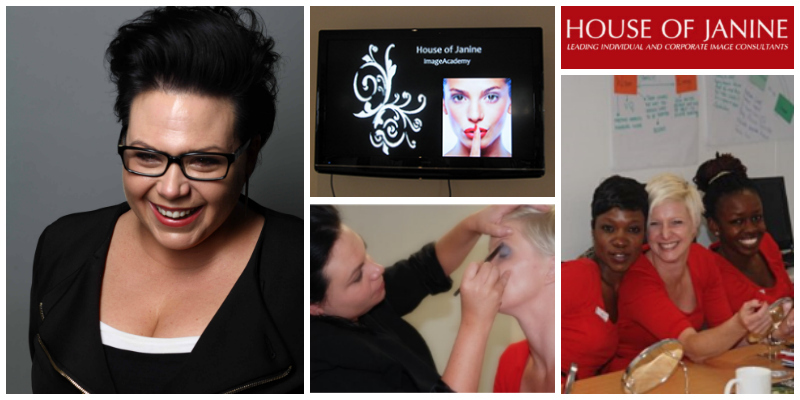 To see yourself through the eyes of a professional is an experience you will never forget! It's not easy, its revealing, but the reward is like nothing you have ever experienced. You will never go back to your old ways. "It is our mission to make you smile at your reflection and walk out of the door in the morning with a sense of power and strength." Tessa, Rani and Rosie, three dynamic chicks who have given their all to both these companies and who all support my crazy concepts. All three are charismatic, infectious, and I would not be where I am today without them. Nope, well not really, Dad tried a few times and finally in his golden years has succeeded - he is my inspiration and my support. I have hated and loved this journey. It’s hard on your own, no one to chat to about your crazy ideas or just a concern, do we go left or right? But I will say, if you took it all away, I would never do it again, and if I had to do it again, I would do it exactly the same!! To be part of the growth and development of entrepreneurs, To inspire globally, to educate nationally, to impact change, and to see South African entrepreneurial women supported, nurtured and cared for. "To see yourself through the eyes of a professional is an experience you will never forget! It's not easy, its revealing, but the reward is like nothing you have ever experienced." I am not sure if it has anything to do with the fact that I am an entrepreneur - I am more about the people than running the business. For me, nothing is more rewarding then touching the hearts of women, seeing them light up, and watching a woman undergoing a metamorphosis in front of you. If you have the courage of a lion, a heart for people, diligence in everything, and balls of steel - think 3 times, weigh up all the pros and cons and then jump. You will never be the same again and there is NOTHING more satisfying then writing your own paycheck (even though it may be a pittance at first).